T S Paul: It's Out! 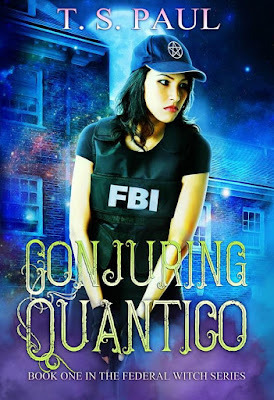 Get your Copy of Conjuring Quantico Today! It's Out! Get your Copy of Conjuring Quantico Today! The New Book is out! Get yours Today! Free Books! Special Halloween Giveaway! Wanna see the New Cover for Magical Probi? Conjuring Quantico is still a #1 Book! The War to the Knife is Now Available! Get Ready! I'm almost done.